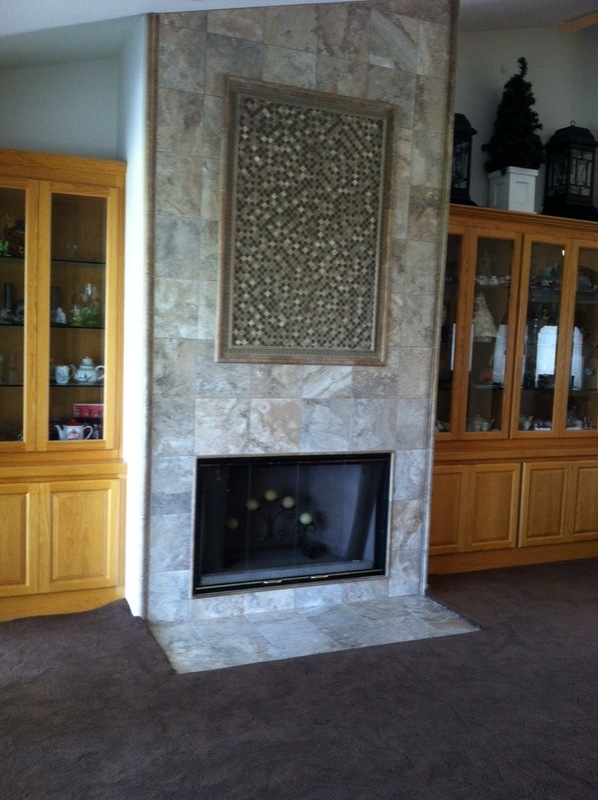 We recently completed this porcelain tile fire place in La Cresta. The tile is 12×12 porcelain from Arizona tile. It is accented by 1/2 x 1/2 mosaic glass and stone. The edging is 2 x 12 Travertine Ogee. The inlay is bordered by Ogee as well as 1 row of glass and another border of 1/2 x12 Travertine pencil rail. The fire box is trimmed in pencil liner as well. This entry was posted in Uncategorized and tagged Arizona Tile, Fire place tile, Hamilton Tile and Stone, mosaic glass, Murrieta Tile Contractor, Temecula Tile Contractor, Temecula Tile Installer. Bookmark the permalink. Both comments and trackbacks are currently closed.